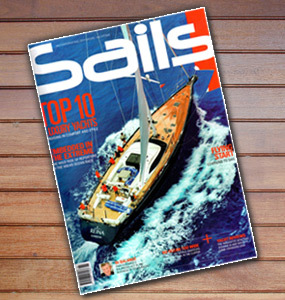 SAILS Magazine June 2015 Edition, reviews the Top 10 Luxury Cruising Yachts which includes the Buizen 52 in their line up. 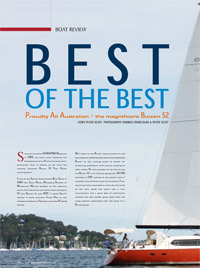 TradeaBoat Magazine nominates the The Buizen 52 as the pick (along with 3 others) of all the sail boats tested and reviewed by their journalists in 2014. The article is featured in the Jan/Feb edition out week ending 22/1/2015. The latest edition of TradeaBoat magazine, on sale from the 20th Nov 2014, features a full Boat Test/Review of the latest Buizen 52 Hull 3. Tucked away above Narrabeen Lakes, they're still making yachts in the traditional manner - slowly and carefully. While cost cutting and calls for greater efficiency continue to drive boatbuilders offshore, it's refreshing to be reminded there are still craftsmen out there, producing watercraft of distinction and taking their sweet time about it. 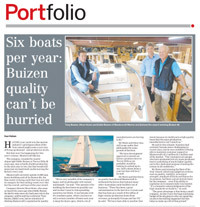 It's been a while coming, but Buizen Yachts owner Steve Howe believes hull number 3 is the best yet. 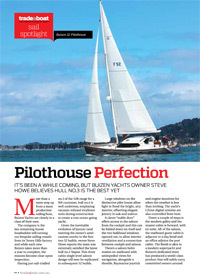 More than a mere step up from a mass production sailing boat, Buizen Yachts are clearly in a class of their own. 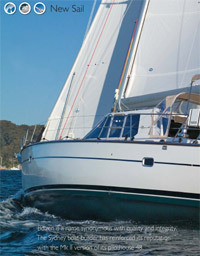 The company is the last remaining Ausssie boat builder still turning out bespoke sailing vessels. 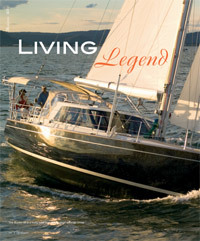 Peter Scott, Publisher, Go Boating Magazine. April 2012. 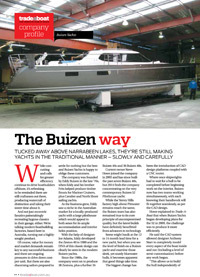 Since we launched GO BOATING Magazine in 2004, we have never followed the development of an Australian built semiproduction boat as keenly as we have the recently launched Buizen 52 Pilot House cruising yacht. It was at the Sydney International Boat Show in 2009 that Steve Howe, Managing Director of Mastercraft Marine, builders of this fabulous yacht, first told me he was planning to develop a 52 foot Buizen. In mid 2010, I visited Steve’s factory in leafy suburban Terrey Hills on the northern outskirts of Sydney to see the 52 being laid up. Alan Whiting, Boating Journalist,Trade A Boat. April 2012. Like all things of beauty, the Buizen 48 Series 3 has charm, warmth and great appeal. 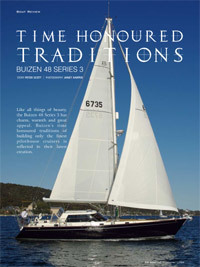 Buizen's time honoured traditions of building only the finest pilothouse cruisers is reflected in their latest creation. Having your yacht win the marine industry's prestigious Boat Of The Year award might seem a sure way to fire up demand - and production levels. But that won't happen for this year's winner, Mastercraft Marine. 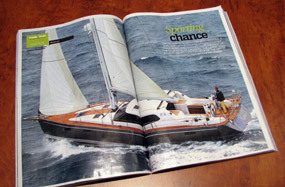 The Buizen 48, now in series 3 form, is most people's idea of the perfect cruising yacht. 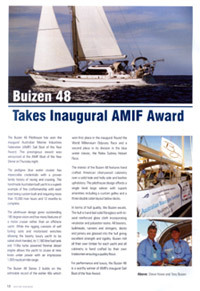 The Buizen 48 Pilothouse has won the inaugural Australian Marine Industries Federation (AMIF) Sail Boat Of The Year Award. 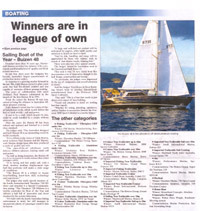 The prestigious award was announced at the AMIF Boat of the Year Dinner on Thursday night. 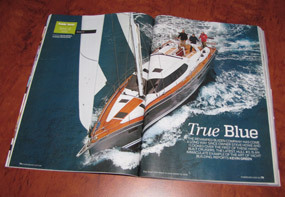 When you climb over the transom you realise that a Buizen yacht is very different from most production boats, and when the Buizen 48 was awarded 'Sailing Boat of the Year' recently for 2008, it wasn't really a surprise.